Anthias Consulting is part of an ambitious partnership working with the Royal Society of Chemistry and GSK. This partnership is increasing the analytical chemistry skills across Africa, with courses held courses in Ethiopia, Ghana, Kenya and Nigeria. 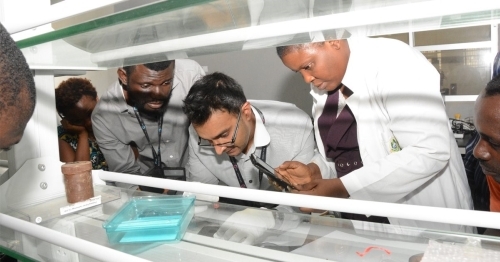 This training programme aims to up-skill and empower scientists in Africa and develop practical analytical techniques to solve local challenges and contribute to global scientific knowledge. Find out more about the partnership on the RSC website. To find out about GC-MS and LC-MS courses running in Africa through the PACN programme, please visit the RSC events website. In July 2018, Dr Giles Edwards from Anthias Consulting trained scientists at an LC-MS workshop which took place at Jomo Kenyatta University of Agriculture and Technology (JKUAT) in Nairobi, Kenya. In November 2017, Dr Imran Janmohamed from Anthias Consulting delivered a GC & GC-MS training workshop at the University of Lagos. Read the article 'Yams and omelettes – a journey to Nigeria' on the RSC website, a day-by-day account of Imran's experiences facilitating the course. In September 2017, Dr Giles Edwards from Anthias Consulting delivered the first training course in liquid chromatography to delegates in Nairobi, Kenya. Read more about the training here. 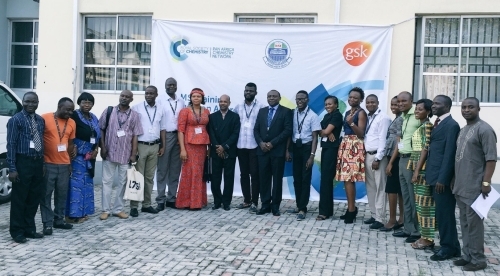 In November 2016 Dr Imran Janmohamed from Anthias Consulting facilitated at the first GC-MS training course at the University of Lagos in Nigeria. You can read more about Imran's visit here and visit the RSC website to read about the delegates' experiences. Dr Imran Janmohamed (centre) with delegates from across West Africa. Anthias Consulting facilitated at the first PACN GC-MS training course at the University of Lagos in Nigeria in 2016.